Department of Commerce and Business Studies, Jamia Millia Islamia (JMI), in collaboration with ‘The Policy Times’ successfully organized a workshop on ‘Tax Planning and Wealth Management Strategies’ on 24th October 2018 at FTK- CIT Seminar Hall. Mr. A.P. Siddiqui (I.P.S. 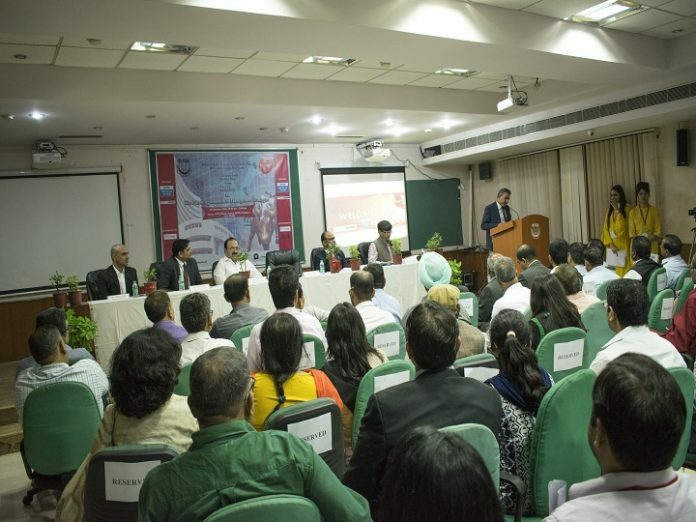 ), Registrar, Jamia Millia Islamia, in his inaugural address emphasized the need of creating awareness about the tax planning and wealth management aspects and appreciated the concept of the workshop to facilitate the Industry – academia interface. Mr. Akram Hoque, founding editor of The Policy Times, in his introductory remarks, expressed the concern for media to focus on critical issues directly impacting the people instead of running after TRP. He assured that the ‘The Policy Times’ is committed to its core values of truth, impartiality and objectivity and would work as a media platform to bring in constructive contribution to the society. ‘The Policy Times’ aims to educate and inform the audience on various policy issues affecting their lives. The workshop consisted of two sessions. The first session was focused on Tax Planning, chaired by Professor Ravinder Kumar, Head, Department of Commerce and Business Studies, JMI and the second session were on Wealth Management Strategies, Chaired by Dr. Naseeb Ahmad, Associate Professor, Department of Commerce and Business Studies, JMI. The panellists consisted of several eminent experts from the financial services and wealth management industry. The session on tax planning discussed on various methods of saving money by reducing the tax liability. Mr. Pankaj Sharma, a renowned C.A. (Sampark Associates), explained how the various deductions, allowances and other salary benefits can be used to save taxes. While another distinguished speaker Mr. M.S. Shabbir, Promoter and Managing Director, SenSage Financial Services, enlightened the audience with useful tips on tax saving. Nitin Srivastava, Chief Manager- L&D, Reliance Nippon Life Asset Management, shared the practical experience on tax planning and management. He encouraged the participants to take advantage of the financial markets and exemptions provided by the Government. The session on wealth management was focused on managing money and creating wealth. Mr. Vikram Chhokar, Regional Head- North & East, Karvy Private Wealth, explained as to how understanding the risk factors is important in investment. He further emphasized the importance of proper asset allocation. Mr. Ganesh Jha, Area Head – Sales, Banking & P.C.G. Tata Asset Management Ltd., emphasized how disciplined investing at an early stage can lead to great benefits at later stages of life. JMI alumni Ms. Dipanjana Gupta, Senior Consultant, Swiss Asia Asset Management, spoke on the investment scenario in India and discussed the functioning of Hedge Funds and its strategies. Mr. Sandeep Mathur, Regional Head, Tata Asset Management Ltd., shared various options available to investors for wealth maximization. The sessions were followed by very enlightening questions & answer round where the participants came up with good queries related to tax planning and wealth management. Dr. Mohd. Atif, Assistant Professor, Department of Commerce and Business Studies, JMI presented the concluding remarks and highlighted the key points of discussion. The workshop ended with a vote of thanks by Mr. Akram Hoque.